No Foul Play Suspected in Death of Baby in Mendon, Mass. 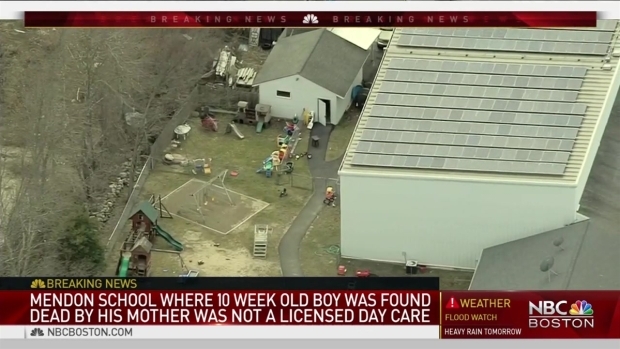 Police are investigating the death of a baby found unresponsive at a Massachusetts private school on Tuesday. Authorities said the 10-week-old boy was discovered unresponsive at the Bethany Christian Academy in Mendon by his mother when she came to pick him up around 5 p.m. The baby was taken to Milford Regional Medical Center, where he was pronounced dead. The Worcester County District Attorney's office said that, at this time, there are no signs of foul play. The Office of the Chief Medical Examiner is still working to determine the exact cause of death. 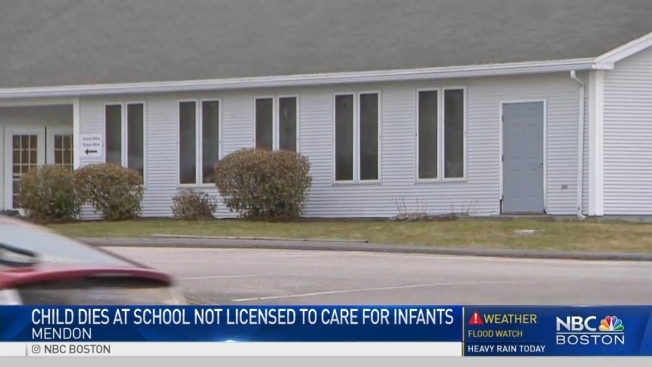 NBC Boston's Investigators learned that the academy should not have been taking care of infants. According to the Massachusetts Department of Early Education and Care, the Bethany Christian Academy is a private school for kindergarten through 12th grade. Because it is a private school, the state granted it a license exemption in 1996. That exemption means it does not fall under the same regulations as public schools and is not inspected by the state. But it also means the school could only care for preschool-age children or older. Area mothers, whose children do not attend the school, were in shock over the death. I can’t even imagine it. To go pick up one of my kids and them just be laying there," said mother Jackie Grady. It's got to feel so... I can’t even imagine how you would feel. Just awful. Obviously mad that the people who were supposed to be taking care of him weren’t." "Why would she leave her child in a place that is not licensed to carry infants," asked another mother, Kristen Foss. A worker at the school, who did not give his name, would only say that they cared very much about the family. "We care very much about this family. They are broken hearted. We are trying to comfort them," said the worker. "And that’s what they are focusing on. The investigation is ongoing so I don’t want to have any comment."